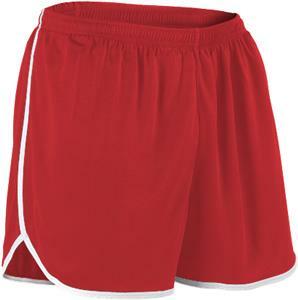 Alleson Mens Youth Performance Track Shorts. 100% Extreme Cloud Warp Mesh Cationic Colorfast Polyester With Moisture Management Fibers. 100% Polyester Tricot Knit Liner. Single Ply Body With Tricot Knit Liner. Top Selling Item. 100% Extreme Cloud Warp Mesh Cationic Colorfast Polyester With Moisture Management Fibers. 100% Polyester Tricot Knit Liner. Single Ply Body With Tricot Knit Liner. Self-Material Contrast Color Leg And Side Trim. Tricot Knit White Internal Brief With Elasticized Leg Openings. 1 1/4" Covered Elastic Waistband With Concealed Inside Drawcord. V-Notch For Breathability And Mobility. WAIST 28-30" 31-33" 34-36" 38-40" 42-44"
WAIST 20-22" 23-25" 26-28" 29-31"